Everyone is talking about blockchain, cryptocurrency, bitcoin and what-not these days. Blockchain is even being hailed as the Next Internet! Well, it is kind of a big deal since Venture Capitalists have invested more than $1 billion into blockchain companies over the last five years. 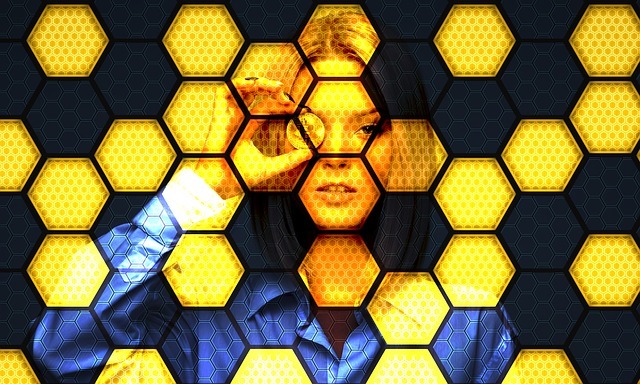 According to stats, global blockchain market is to reach $20 billion by 2024. Recently, American Express partnered with Ripple to process international transactions using blockchain technology. Do you know how much you would have to shell out in order to buy Ethereum.com? Bloomberg says, $10 Million! Yes, you read it right! Enough reasons not to dismiss blockchain, isn’t it? The blockchain is an open, distributed ledger that can record transactions between two entities in a verifiable and permanent manner. Moreover, it is possible to program the ledger to facilitate transactions automatically. Moving on to the implications of blockchain in marketing, let us start with Search Engine Marketing aka SEM. Online Advertising is a mammoth of an industry. Digital advertising spending worldwide grew from $152 billion in 2015 to $204 billion in 2017. Well, that shows how effective advertising is in marketing, isn’t it? However, as website owners, we face one challenge- dealing with intermediaries. For example, if you want to use text or display ads, you will most likely hop on to Google AdWords. Likewise, advertising on social media will involve using the Ads feature of Facebook, LinkedIn, Twitter, Instagram and others. Regardless of the network or platform, you have to deal with the middleman- Google, Facebook, and LinkedIn. We continue to use these because they have been around for a long time, thus invoking a sense of trust. Moreover, who has the time to manually connect with advertisers to push ads on different platforms? Blockchain would eliminate the middlemen from the picture, thus creating a transparent equation between the website owners and advertisers. With blockchain, one could easily verify ad delivery, thereby confirming that a real person saw the ad (and not a bot) for the stipulated time frame. This technology can also verify the user-engagement and ad-performance with ease. Ad serving is sometimes annoying to the users. After all, would you like to see the same ad repetitively? Blockchain would minimize this issue, thus ensuring optimal frequency. Finally, it will help ensure that professionals such as publishers, tech entities, contractors and others are paid a fair amount based on the ad performance. Forrester suggests that 64% of ad fraud happens with video accounts, while programmatic video accounts for 67%. How about putting a number to the losses in global ad fraud in 2017? That explains why we need blockchain technology as well. Given the decentralized ledger nature of blockchain, online Ad fraud will see a drastic fall. We theorize much about putting the consumer first in marketing. Yet, the fact remains that only a handful of businesses implement this in their processes. Thanks to blockchain, this will no longer be an option. As a user, you will be able to decide the duration, audience and time frame for your public information. I understand this would drop the number of leads. But I’d rather have more qualified leads than celebrate over hundreds of irrelevant prospects. Up-to-date, quality leads would make businesses focus better on their audience. Today, we deal with a large number of tools and technologies in digital marketing. From CMS to web programming, APIs to servers, the complexity is increasing day by day. This translates into compatibility issues between systems and technologies. Blockchain would help make systems communicate with each other in a better and faster way. Cost is a major concern in computing infrastructures. With help of Blockchain-based Distributed Cloud, businesses would observe significant savings. Small businesses often lack the capital to access large cloud infrastructures such as HPC or Amazon EC2 (for example). Come the Distributed Cloud via blockchain and SMBs would find themselves not worrying about the enterprise-level costs anymore. When you go to a Wikipedia page, you can edit the post. Right? The open-source online encyclopedia is an excellent example of UGC (user-generated content) and user-edited content. Now apply the same principle to your company when you are working collaboratively on a writing project. Blockchain technology would allow the user to know who made the edit, what time did they make that change, and where did that edit take place. Moreover, the decentralized nature of blockchain would mean that a single user will not have complete control over the project. Seems like blockchain would drive businesses towards workplace equality! The zero-knowledge real-time collaborative editor Cryptpad is an excellent example of online collaboration using blockchain technology. No one likes being micromanaged. Sadly, some professionals do not understand that aspect of people-management. Often it is difficult to track and justify the performance of the people involved in a marketing campaign. Sure you can see how many hours or days someone worked on a project. But that is all! Ownership of data and lack of transparency are also some other issues in this context. Imagine a situation where every member of the project has a copy of the performance information. Would it not address this issue to a large extent? Blockchain technology will help track performance-based data, thus optimizing marketing campaigns. This technology has applications in perhaps most industry verticals- from healthcare and financial institutions to recruitment and military. As blockchain continues to evolve, we will see more real-life applications of this technology. Hang on tight as this technology makes the world a more secure place! Shashank S. leverages growth hacking and digital marketing strategies to help businesses generate more revenue.